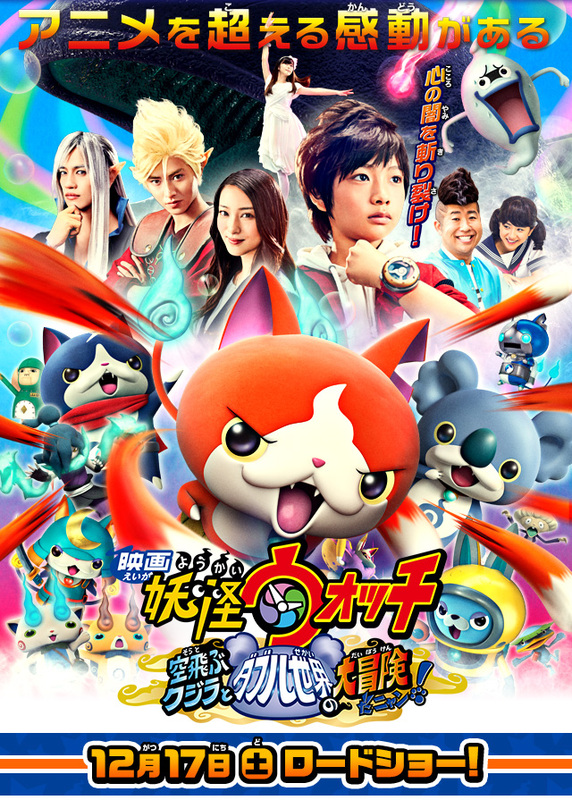 Romaji: Eiga Yokai Wotchi Sora Tobu Kujira to Daburu Sekai no Daiboken da Nyan! A giant whale appears and flies above Sakura New Town. With the whale’s sound of crying, some changes occur to Kenta Amano and Yokai. Movie features a mixture of animation and live-action. Aki Nov 14 2016 2:24 am LOL! Yamaken's hair in this movie's so funny. I just can't!